One of the first things that occurs to me when I think about Digital Agriculture is the ICT4D conference. 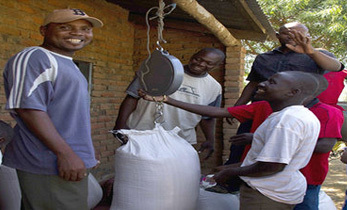 ICRISAT has been closely associated with this event since 2017 as a co-organizer, leading the agriculture track along with Catholic Relief Services (CRS). 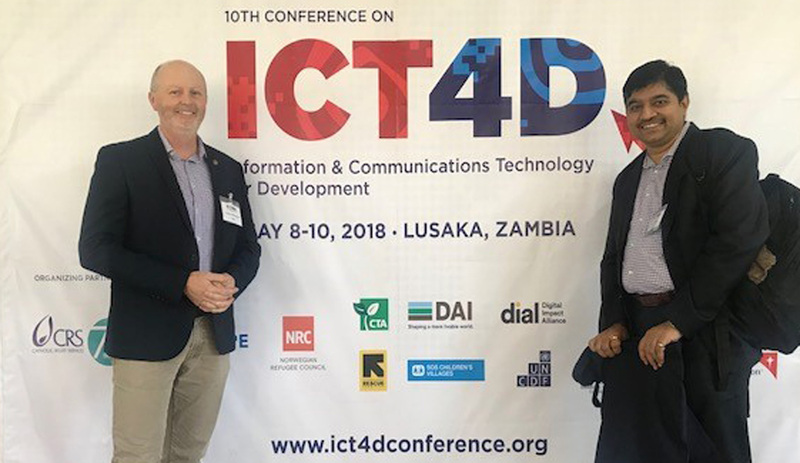 ICRISAT hosted the ninth edition of ICT4D at Hyderabad and continued to be one of the organizing partners for the tenth edition in May 2018 at Lusaka, Zambia. I was joined at the tenth edition of ICT4D by Mr Ram Dhulipala, Theme Leader – Digital Agriculture & Youth, also a co-leader of the agriculture track. ICT4D is a one-of-its-kind conference that explores the use of digital tools and ICTs across a wide spectrum of relevant sectors; agriculture is definitely at the top of this list. The conference is a great platform where practitioners, technologists, academicians and researchers share their case studies and experiences on the use of ICTs to achieve impact at scale. The event also hosts thought leaders for panel discussions or for delivering keynote lectures. In Lusaka, we were also joined by two of our ihub startups – Verdentum and Kalgudi. Rohit Pothukuchi, Founder of Verdentum, delivered a talk about the platform and the MEASURE platform that it co-developed along with ICRISAT’s team. 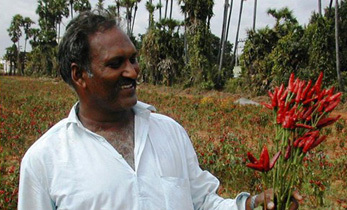 Raj Vallabhaneni from Kalgudi described the online platform that was impacting farmers in south India. Both these talks highlighted the importance of incubation in their respective success stories. We hope to see exciting new opportunities from these talks for both these companies. 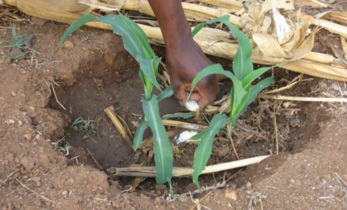 Most failed digital agriculture projects do not pay adequate attention to capacities of their end users –smallholder farmers, who could be resource-poor, risk-averse, with limited formal education and disconnected from markets. Digital advisory services need to pay sufficient attention to development of contextualized and personalized content. Most projects assume that market dissemination services will be transformational despite a growing body of literature pointing to the contrary. Technology is not the ‘magic sauce’, as adequate attention is required to build human capacities. Most importantly, most projects underestimate the need to look at the human-computer interaction as a critical design element in the project concept stage. In fact, Mr Ram Dhulipala mentions that this phenomenon is not limited to development/digital ag projects but is quite rampant even in the private sector. ‘Design Thinking’ or ‘Human-centered Design’ is the latest buzzword in the industry that is trying to re-focus the private sector on putting the customer at the center of all digital solution design. I also delivered a talk on the Intelligent Agriculture Systems Advisory Tool (iSAT), jointly developed by Microsoft and ICRISAT. The well-attended talk was a clear testimony to the interest of various actors (donors, startups, development professionals) in the possible uses of digital tools in building resilience to climate-induced shocks amongst the most vulnerable. 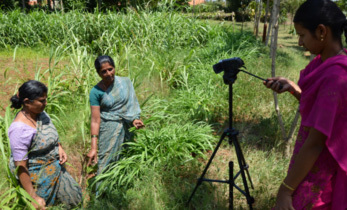 The iSAT integrates historical climate data, seasonal and short-term weather forecasts, soil information, and crop models to create decision trees with recommended actions for smallholders and it has been successfully piloted with 700 farmers in Anantapur district, Andhra Pradesh, India. 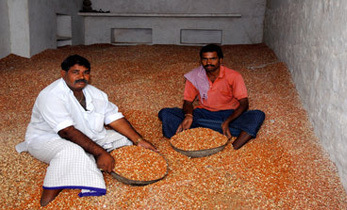 Farmers have indicated the usefulness of such contextualized advisories and, if things go well, the iSAT team is looking to scale this tool to two more districts in Andhra Pradesh. While my team and I are keen to expand iSAT into other geographies, we are also actively looking at the Internet of Things (IOTs) for strengthening and deepening the capabilities of this system. IOTs are touted to be third most disruptive technology after mobile internet and automation according to a McKinsey report. IOTs are expected to have a potential economic impact of USD 2.7–6.2 trillion by 2025. The iSAT team envisions the use of low-cost IOT-based sensors to measure in situ soil moisture, ambient temperatures and also sense other environment parameters which could then be input into the iSAT system on a real time basis. The iSAT system could then deliver localized and context specific advisory. 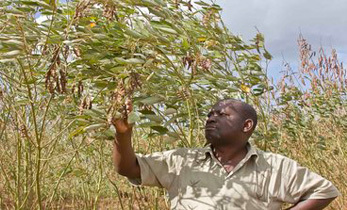 The iSAT team is, however, quite keen on ensuring the sustainability of the iSAT tool beyond the project phase; this is where ICRISAT’s ihub platform offers a unique opportunity. The iSAT advisories could be bundled with other services/products by a few of our startups. Kalgudi is currently doing this and it would be interesting to learn from this experience. 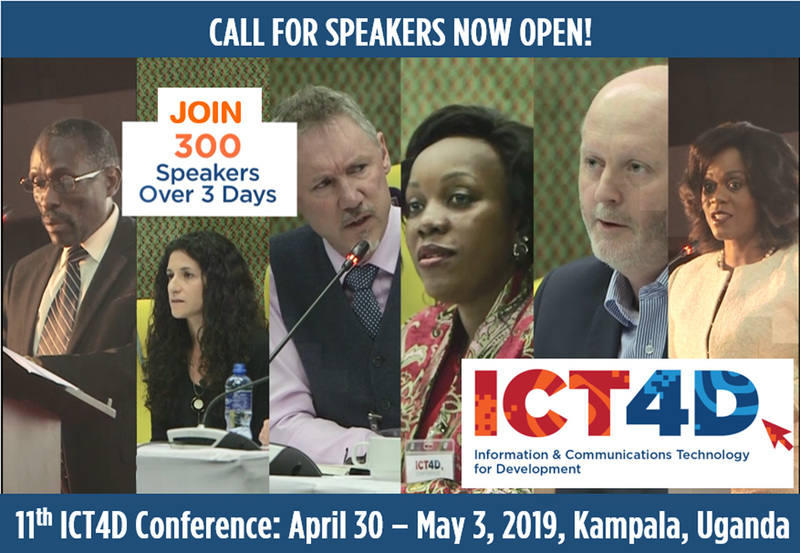 The 11th edition of ICT4D will be in Kampala, Uganda from 30 April to 3 May 2019.